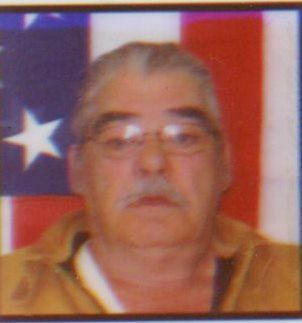 Washburn and Caribou – Johnny Greenier, 71, passed away June 14, 2018 at Maine Veterans’ Home Caribou. He was born in Caribou September 4, 1946, the son of the late Albert and Lena (Argraves) Greenier. Mr. Greenier served with the U.S. Army during Vietnam and was employed as a truck driver for several area construction companies. He is survived by his children, Terry Greenier of Orono, John Greenier Jr. of Florida and Tim Thibodeau of Virginia, Pam Greenier,Rose Rodrigues, and Tina Weed all of Presque Isle, four brothers Jimmy of Mapleton, Albert, Mark and Peter all of Connecticut, three sisters, Bonnie of Connecticut, Dora and Pauline both of Presque Isle, special friend Eileen Jandreau of Washburn, several grandchildren, nieces and nephews. Mr. Greenier is predeceased by a brother Lee and sisters Sharon and Lynn. Family services will be held at the Northern Maine Veterans’ Cemetery at a later date.